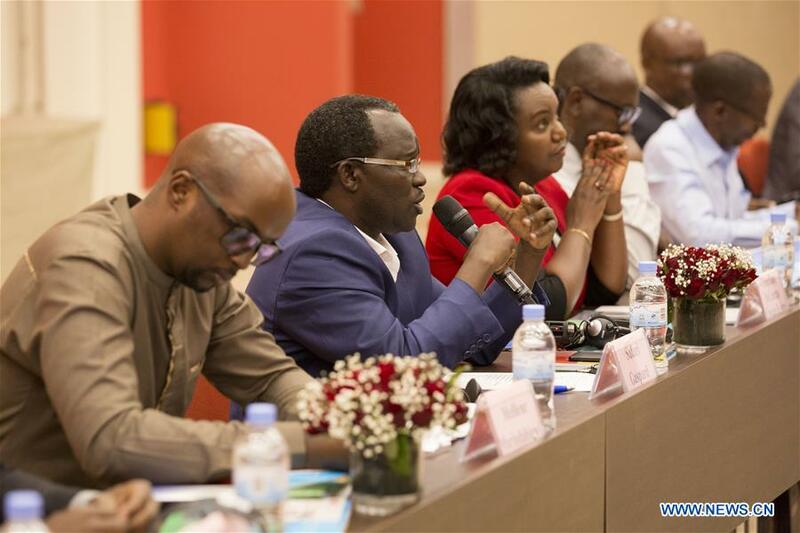 KIGALI, July 5 (Xinhua) -- Representatives from over 10 Chinese and Rwandan media outlets held a forum on Thursday on promoting cooperation and exchanges. The forum was hosted by the State Council Information Office (SCIO) of China and organized by Xinhua News Agency. Guo Weimin, vice head of SCIO, said the event was aimed at establishing a platform for communication and coordination to put into full play the role of media in strengthening the understanding, mutual trust and friendship between the two peoples through dialogue and specific projects. In heated and candid discussions, participants at the forum expressed their shared willingness to seek faster development in the face of challenges from new media and new technologies. They underscored the need to strengthen cooperation and exchanges to seek a greater say in telling their own stories. Participants also agreed to pursue further dialogue and pragmatic collaboration through various platforms in the future. Claudine DeLucco Uwanyiligira, deputy director-general of Rwanda Broadcasting Agency (RBA), spoke of China's long-standing support for her agency's capacity building efforts, hoping that such cooperation would be maintained and strengthened. On Thursday morning, Guo visited the headquarters of RBA and The New Times and met with RBA Director General Arthur Asiimwe and The New Times Managing Director Collin Haba. Thursday's forum was part of a three-day China-Rwanda cultural exchange program that also features a photo exhibition, a charity function and screening of Chinese films across Rwanda.